By adding Muvi as an admin in your Apple Developer Account, you can allow Muvi to publish your iOS App in the iTunes App Store. 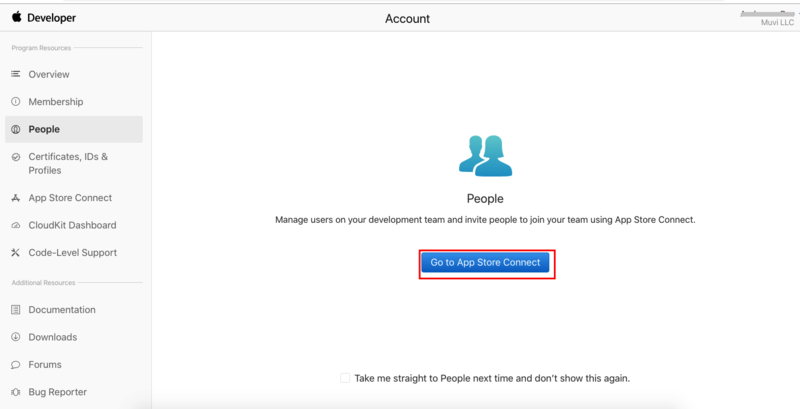 Usually, Apple ID is required to login to Apple Developer account. However, it is not always necessary to provide Apple ID credentials. 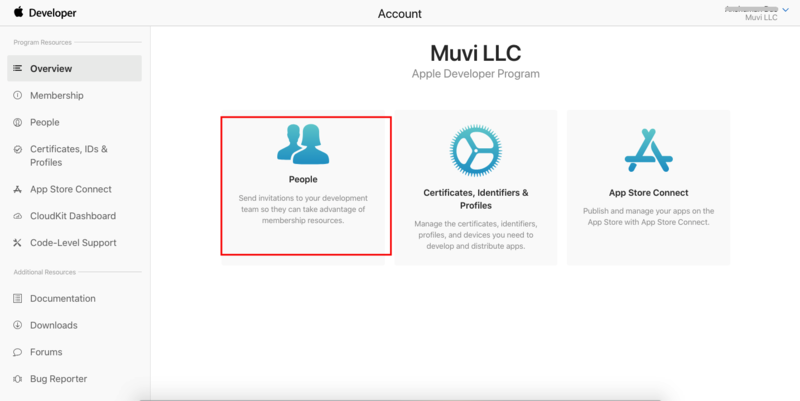 By adding Muvi’s developer ID to your Apple Developer Account, you can allow Muvi to publish your App in the Apple iTune app store. Please follow the below mentioned steps to add Muvi as an Admin to your Apple Developer Account. Note: If you have an individual account, then you will not be able to give admin access. So, to give admin access, you have to give your Apple Developer Account with two factor authentication code. 5. After clicking on the “+” icon, it will show a form to provide all the required details . 6. Click on the Invite button . 7. Then a confirmation email will be sent to that Email Address After confirming that, we will be able to access your account.